In this special column, Mayor Stacey Jordan and Deputy Mayor Manuel Delgado discuss Moorestown’s affordable housing obligation. When it comes to affordable housing, Moorestown has always been ahead of the curve. Long before the Mount Laurel II decision required municipalities to provide their fair share of the state’s affordable housing and the establishment of the Council on Affordable Housing (COAH), our town was working with the residents that created MEND to ensure that families in need, senior citizens, veterans and individuals with special needs had a safe and affordable place to call home. Moorestown has always met our affordable housing obligations in a sustainable way. There have been three rounds to determine each municipality’s affordable housing need for different periods of time. Moorestown earned a 100 percent compliance record for the first two COAH rounds. The homes developed during the first two rounds have been available to qualifying residents and are integrated architecturally within the character and charm of our community. Third round COAH rules were never established; in their absence, the New Jersey Supreme Court created a process in which courts were charged with determining each town’s affordable housing obligation. With this new process in place, the town council had to work to create a plan that would meet these mandated obligations in a way which continues Moorestown’s commitment to inclusivity, while limiting the financial impact to residents and avoiding an increased strain to our schools, roadways, emergency services and infrastructure. Town council has taken two approaches to address the creation of its housing plan. First, we had our professionals use a process called a vacant land adjustment to identify vacant and developable parcels, calculate the potential development capacity for each parcel and eliminate parcels that are not appropriate for development (i.e. preserved open spaces, areas without water and sewer capacity). Once completed, this delivered a known, smaller affordable housing obligation and perhaps most importantly, allows any future affordable housing development to be completely within our town’s control. The second approach was to settle all five lawsuits from outside developers at one time. This strategy allowed us to address the known obligation and specific needs of the housing plan through the multiple interveners (developers who have presented plans to the court in order to build certain aspects of the township’s COAH obligation). In other words, each intervener’s development was negotiated to complete a specific need and fit in Moorestown’s plan all at once, avoiding prolonged litigation that would have cost additional taxpayer dollars and delayed the completion of our overall plan. Upon completion of the above steps, town council is now announcing that it has reached a settlement in principle with Fair Share Housing and the other interveners. Under calculations by the Fair Share Housing Center, Moorestown would have been required to provide for 1,667 affordable units — a roughly 21 percent increase to the number of overall homes in our community. Through use of the aforementioned vacant land adjustment and long negotiations, the township’s settlement resulted in an obligation of 606 affordable units. Based on credits from prior rounds and other credits to which our town is entitled, the number of new affordable units to be developed to satisfy our mandated obligation is 337. The homes that will be developed will look and feel like they belong here in Moorestown. They will be spread throughout the town, maintaining the feeling of inclusivity for our residents old and new. Not one neighborhood will feel the strain of increased traffic, not one school will see a large influx of new students and Moorestown will continue to be the community we all know and love. Your town council has been able to resolve the litigation with the least possible impact on our community. For the last 18 months, town council, due to the constraints of the court process and the negotiations with five separate intervening builders, has not been permitted to have an open discussion with the public on this matter. 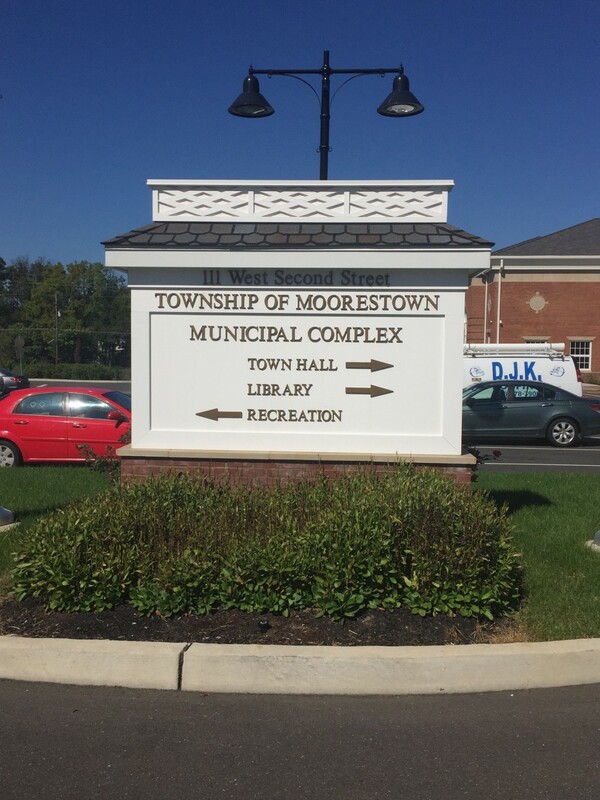 We thank you for your patience on this issue and for the support the Moorestown residents has given to each of us individually and collectively as a town council. For more information about the process and the plan, visit www.moorestown.nj.us. Please feel free to reach out to us with any questions by attending a town council meeting or simply send us an email at towncouncil@moorestown.nj.us.